Set/3 Potted Cacti For Gypsy Fairy Gardens. 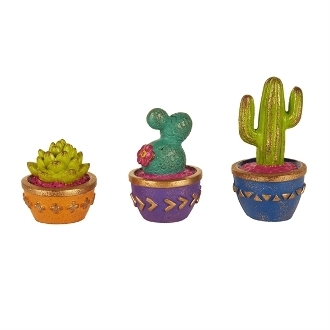 Full Description: Give your mini garden a southwest feel with these mini cacti! Designed by Genevieve Gail, this mini cacti set features gold accents and all-weather paint.